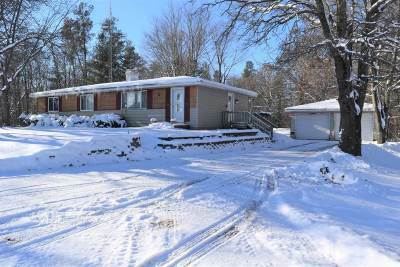 New roof in 2018 on this 3 bedroom house that sits on just over a 2 1/2 acre wooded lot. Home ownership is affordable here and this one comes with some additional land to boot. House has had some updates only a few years ago that are sure to impress. You will love sitting in your three season porch/sunroom or out on your deck enjoying all of the nature that lives nearby. Views of open fields out front. Option to heat with the outdoor woodburner to the boiler system. LP is option. Bring your ideas and make it yours. Home warranty included.